People love to laugh; it’s something that makes us happy and sometimes even ironically sad. The joy and euphoria that comes from a good joke that maybe holds meaning to us is a great way theme in most medium and that is certainly applicable to manhwa. 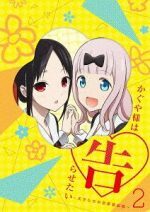 Anime and manga obviously have some quality comedy titles but we want to make sure you know there are great manhwa out there that can do the same. With so many comedy manhwa, it is pretty hard for most to find a great comedy manhwa to read and enjoy. 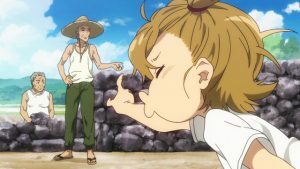 That’s why today we here at Honey’s Anime decided to create at Top 10 Comedy Manhwa recommendation list for you to find that much needed joy. Now we must first note that we know comedy is subjective. Like any genre, there are comedy manhwa that are bound to get mixed opinions and critiques when people have varying opinions on them. That is very much the issue with comedy as some people would prefer a serious toned comedy over a silly comedy and then sometimes vice a versa. Though trust us here at Honey’s Anime. We knew that would be an issue but didn’t lose sight of what we needed to do. Down below are comedy manhwa with various types of comedy and thus we’re sure that there is something waiting for you to enjoy within our Top 10 Comedy Manhwa list. Now then scroll down and see if you can find one. Sometimes we just don’t know our neighbors very well. However, most don’t know the real nature of the so called goofy novelist neighbor who lives next door. You see he’s not normal and not in he’s weird theme but he’s hiding something pretty big. This neighbor who loves games and borrows things without asking for them is actually a dragon in disguise. Dragon Kim is his name and as Woo-Hyuk Choi is about to learn, Dragon Kim is a very odd…being. Going to a new school is tough but it’s especially hard for poor Ju Ingong. Unfortunately for Ju, he looks like a terrible guy who will be quick to beat you up. Even some of the tougher kids of Ju’s new school think this guy could be the real deal and even somehow beat them up. However, is Ju really as tough as he looks? You’re about to find out in Transfer Student Storm Bringer. We really wish people wouldn’t judge someone based on looks. Though, if the cast of characters in Transfer Student Storm Bringer didn’t do that then we wouldn’t have the comedy manhwa we get thanks to manhwaga Gangnengyi. This short 91 chapter comedy manhwa made us laugh so hard sometimes we felt tears welling up in our eyes. It’s usually always at the expense of Ju Ingong but we couldn’t help it. 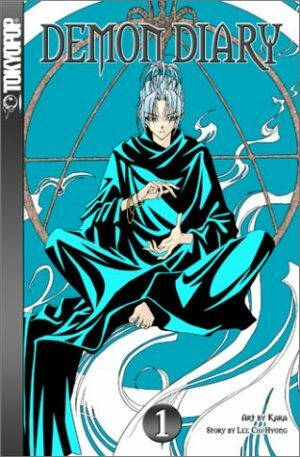 Seriously folks, you need to try out Transfer Student Storm Bringer if you want a unique comedy manhwa filled with cool art and a funny story to go along with it. Now just try not to laugh at tough looking people in real life, they actually may be tough. Gang-Ho has had a tough life as a hard working father. However, his life changes dramatically when a fire erupts at his job and injures Gang-Ho. Now with no job and a face that is horribly burned, Gang-Ho worries what his family—namely his daughter—will think of him. Then an idea hits and Gang-Ho dons a superhero persona. Now this one time family man must now become a hero. Familyman is a very interesting comedy manhwa by manhwaga Jung Pil Won. At times you’re going to feel a lot of heartwarming scenes and narrative as we follow the lives of Gang-Ho and his family. Equally though we were laughing at the ridiculous actions this once family man takes to hide his face and drama from his family. Familyman will our heart at times with a nice mix of drama, romance and plenty of laughs that don’t feel forced. Trust us folks, you’ll most certainly find a lot to love with Familyman as it’s a great story and deserving of being on our list of comedy manhwa. Togeun has had enough. 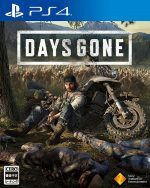 Tired of working for his oppressive father, Togeun quits his job and moves out of his family’s home. Togeun wants to aim for his real dream job and that is to draw and become a great illustrator. However, knowing that this won’t be an easy feat to pull off alone Togeun runs to an ally in the form of illustrator Sonagi. Can Sonagi help Togeun become the famous illustrator he wants to be? We completely understand Togeun’s plght in Salty Studio. 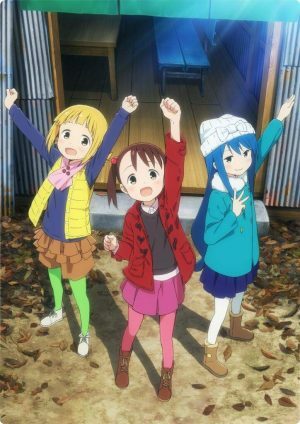 Plenty of us here at Honey’s Anime have had our bad jobs in the past and were willing to run away from it all to seek a new career in whatever way we could. 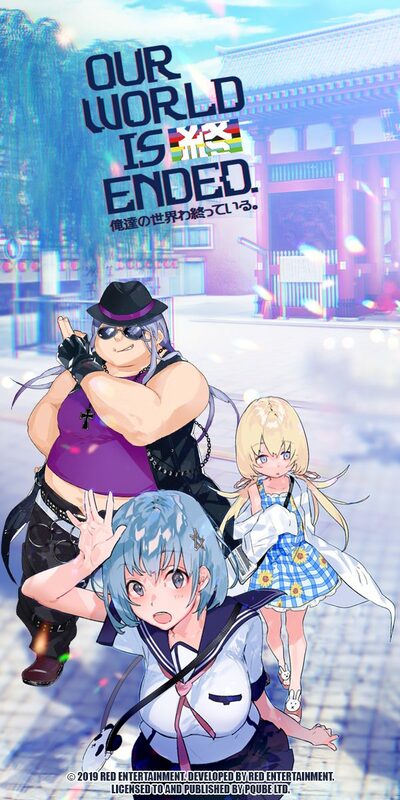 Though as you will soon learn manhwaga Omyo has a very interesting way of showing a passion for getting a new job as Salty Studio is flat out comedic. We love the clever banter and nice comedic filled events that seem to surround poor Togeun as he aims to be an illustrator. With only 4 volumes, the only time you won’t laugh is when you eventually finish Salty Studio and wish for more. A new teacher is approaching in Shioon’s life and it may be just what he needs. With the threat of constant bullying and harassment, Shioon is reaching his breaking point. However, as Shioon soon notices that the new teacher named Chun-Woo is not only a cool dude but an impressive fighter. With no one else to turn to Shioon begs Chun-Woo to take him on as his disciple and teach him how to fight. Chun-Woo is willing to if Shioon does one thing, jump off a nearby bridge for him. The Breaker at times may seem more serious and less comedic but don’t judge a book by its cover. Manhwaga Park Jin-Hwan has crafted a story that at times can make you feel for Shioon and his plight and then laugh at some of the odd situations that befall him. Same can be said of illustrator Jeon Geuk jin who makes some of the art drive home a comedic scene even stronger. 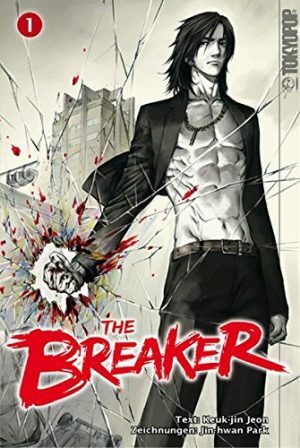 The Breaker will be one of those comedy manhwa that will have you hooked immediately and won’t let go till you finish the whole 10 volumes in one sitting. Luckily with a season 2 in the form of The Breaker: New Waves you won’t have to wait to continue once you finish this excellent action comedy manhwa. College life is no joke, especially when you’re forced to deal with some of the issues facing Hong Sul. Having great grades and a hard work ethic, Hong Sul has always took pride in her school work. However, somehow Hong Sul’s way of being has angered popular boy Yu Jeong and has led Hong Sul into a nightmarish scenario caused by him. Then out of nowhere after Hong Sul has faced a non-stop barrage of issues, Yu Jeong attempts at befriending her. What does Yu Jeong want from Hong Sul? Cheese in the Trap Season 1 on paper seems like your typical odd romance plot that won’t be anything more than school drama. 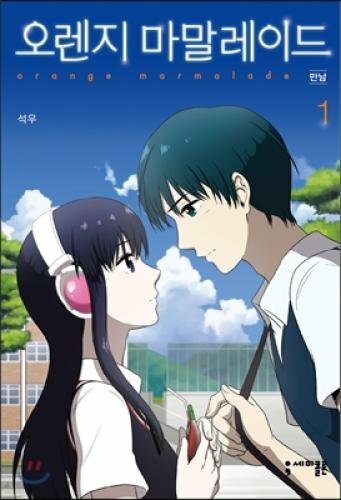 However, manhwaga Soonkki proved us here at Honey’s Anime very wrong with an extremely funny and sometimes mysterious comedy manhwa. Not only did the story get us—trust us folks there are some clever twists and turns we won’t spoil for you in Cheese in the Trap Season 1—but the art also really wowed us making it a no brainer that Cheese in the Trap Season 1 needed to be on our list. Be prepared to enter the odd world of Hong Sul and get some laughs in at her expense in Cheese in the Trap Season 1. Ma Ri Baek is a cute girl who just wants to fit into society and enjoy a normal life. However, unfortunately for Ma Ri Baek this is an easier said than done task seeing as how this cute girl isn’t exactly human, she’s a vampire. The vampire race has been long discovered by society but are implored to stay away from humans and seek a more obscure life. Though for Ma Ri Baek she doesn’t want to hide in the dark and aims to go to school and be as normal as she can be. Though when you add in a boy named Jae Min Jung will Ma Ri Baek’s normal life be even further complicated by the emotion called love? First the premise alone for Orange Marmalade is silly and comedic. In modern society our perception of vampires are either twinkling dudes or scary monstrous beings. Here in Orange Marmalade though as we see with Ma Ri Baek, they don’t mean to hurt humans they just want to coexist with them and the various events that are about to befall our main two lead characters will be romantic and sometimes extremely comedic. 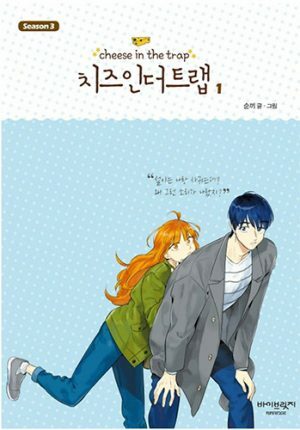 Manhwaga SeokWoo did an incredible job with both the art and story of Orange Marmalade that we knew our Top 10 Comedy Manhwa list would be incomplete without having this on here somewhere. If you want a romance comedy manhwa unlike any you’ve read before, check out Orange Marmalade today. Song Jae Gu has just gotten a fully paid 3 year scholarship at a new school. However, the school Song Jae Gu is about to attend is far from normal. Wild High is a school that trains martial artists, boxers and various other forms to compete in an annual televised fighting event called the Wild League. While originally it was an all-female school, this year Wild High has opened its door to men like Song Jae Gu regardless of skills or grades. For Song Ja Gu Wild High is already scary enough but already on the first day, he’s crossed the school’s most famous fighter, Queen. Can he survive such a school? Girls of the Wild’s is a very deceptive comedy manhwa. Sure there will be plenty of action to be had as most of the girls in Girls of the Wilds are scary to say the least. Yet, when there isn’t fighting and the series focuses heavily on making you laugh thanks to some extremely funny situations that usually surround our main protagonist Song Ja Gu as he tries to deal with some of the ladies. The duo behind Girls of the Wilds—Kim Hye-Jin and Hun—have done a tremendous job with both the art and narrative for Girls of the Wilds making it a great read. 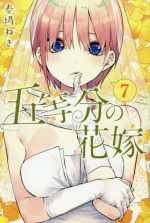 The series is complete online ad currently is at one volume made so you can binge Girls of the Wilds and get hit with plenty of hard hitting comedic action in this impressive comedy manhwa. Girls of the Wilds may be completed but our love for it lives on! 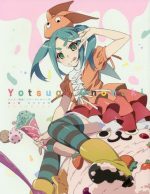 How far would you go for your favorite idol? Would you try to get his attention at school? Maybe you would try to do something that makes you stand out. For Tae Yeon, she does something above and beyond. She literally switches places with her identical male cousin to go to his school to be close to her idol crush. 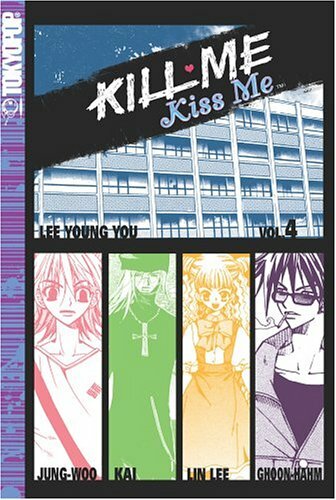 Get ready for some odd scenarios and plenty of laughs in K2: Kill me Kiss Me. When you read a story and see it has the genre gender bender you already should expect some wackiness. Well K2: Kill Me Kiss Me does that in droves thanks to this story being comedic in not only the random situations that befall our lead characters but the whole idea of what Tae Yeon is willing to do for her idol crush. Manhwaga Lee Young-You made a story that had us in stitches at times and also had a cute romance woven in that felt pretty natural, given that this story is anything but. 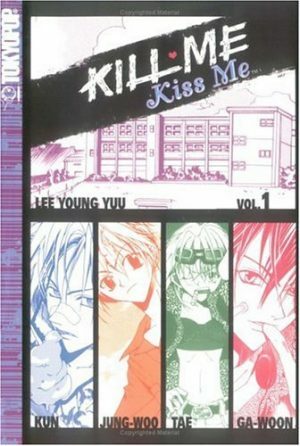 K2: Kill Me Kiss Me we knew had to take second place on our list and we know once you read the first page of this 5 volume comedy manhwa you’ll be crying with laughter in no time. Han Jee-Han is just your typical high schooler who loves games. However, one day without warning Han Jee-Han gets a very strange power. Everything in his life becomes like an RPG! He can see stats above the heads of people and going to do errands actually leads to quests being completed. Now Han Jee-Han has to figure how this power came to be and attempt to live his normal life with it. Our final entry on our Top 10 Comedy Manhwa is The Gamer and from the description it should be pretty obvious why. Imagine a world that’s like a game? That to us just sounds goofy—also somewhat exciting—and you’re going to laugh a lot as you witness Han Jee-Han try to make sense of it all. Don’t fret folks, if you’re worried that it will be too much comedy, manhwaga Sung Sang-Young made sure to add some great action scenes and plenty of cool adventure elements to keep the comedy hitting hard all while not getting stale. 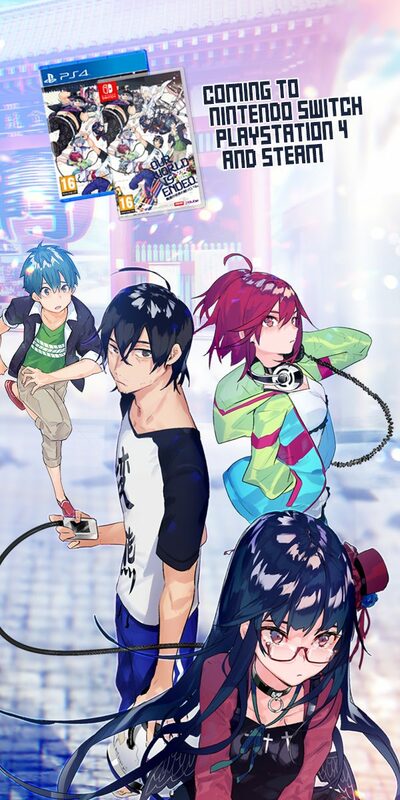 With some brilliant illustrations from Sang-Ah and a story to match what we here at Honey’s Anime would think it would be like to be in a video game world, The Gamer is definitely deserving of top spot on our comedy manhwa list. Did we make you smile with this list folks? If you laughed either from reading one of entries or from picking up this story before, then we know we did our job correctly. Though we would love to hear it from you directly. 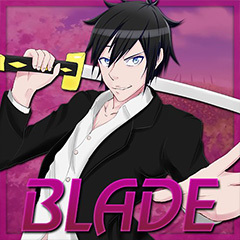 Leave a comment down below letting us know what comedy manhwa on here you liked or now are curious to read. As always folks we’re working around the clock to bring you more top 10 articles and lists for your joy. Thus make sure not to leave for too long and return soon!